A new Oracle Champion has emerged at the end 2018 Oracle Netsuit Open, a PSA World Tour Gold event which took place in San Francisco. Spectacular Outdoor arena on Justin Herman Plaza, San Francisco, Venue of the just concluded Netsuit Open. The event can only be described as a sublime performance from start to finish, saw Egypt’s World No.2 Ali Farag defeat 2017 tournament champion and World No.1 Mohamed ElShorbagy in the final of the 2018 Oracle NetSuite Open to claim his first major title in nine months on a dramatic evening of play. In the same vein, England’s Sarah-Jane Perry stun World Champion Raneem El Welily to retain the title she won 12 months ago. Farag, who lost four of five meetings with ElShorbagy during the 2017/18 campaign, underlined his intention to challenge his compatriot for the coveted World No.1 ranking spot this season with a clinical display that saw him nullify ElShorbagy’s power and pace to prevail an 11-9, 13-11, 4-11, 11-9 winner. Trading points stroke for stroke during a series of physically punishing rallies to the delight of the crowd. Eventually, Farag showed strength, taking the lead quickly, using his relaxed attacking style to edge a tight opening game, before doubling the lead courtesy of a dramatic second-game tie-break. ElShorbagy exhibited tact in the third game before Farag once again enjoyed the better of the exchanges in the fourth round to win his first tournament since Swedish Open in February. As she raced into an early 6-1 lead to set up what looked certain to be a comfortable opening first game. Sarah-Jean Peery, World No.8 came around to accepting the challenge, finding her own lethal streak midway through to swing the game on its head and take the opener 11-9 against the run of play. Perry continued to enjoy a purple patch as she dominated the second to double her advantage, leaving El Welily searching for a way to stop the onslaught. 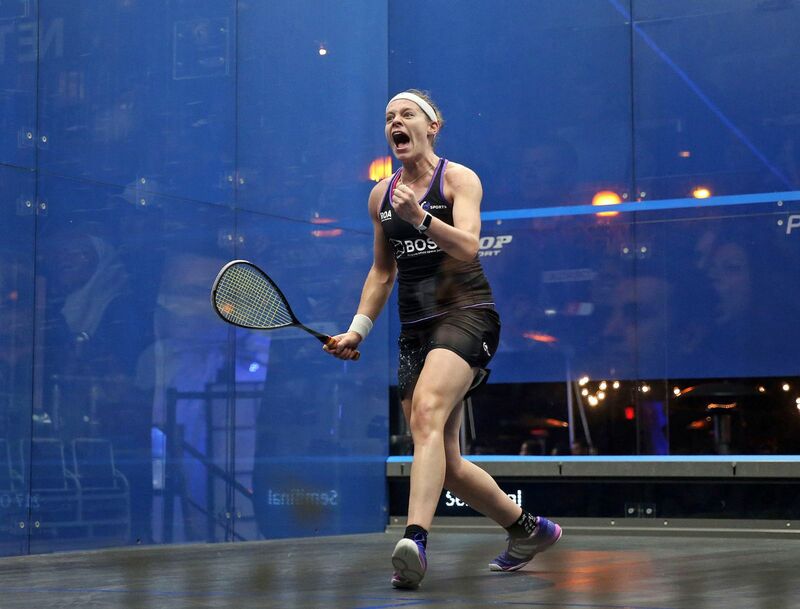 However, the Egyptian world champion responded in kind, lifting her level once again to engage Perry in rally after rally of physically testing and tactically probing squash. Taking full advantage to gain a lifeline on the scoreboard before taking the fourth in just eight minutes to level the scores. The crucial fifth and final game began with a series of cat-and-mouse exchanges with little to separate them but from 4-4 Perry turned the screw to set up match ball at 10-4. 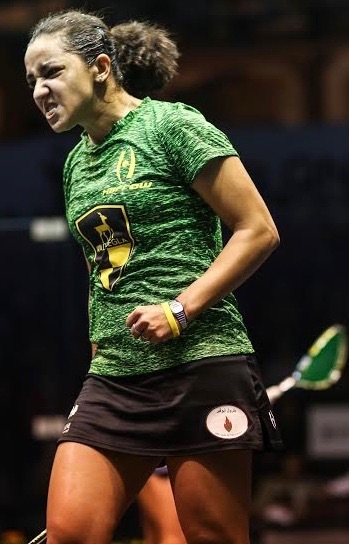 A series of sumptuous winners saw El Welily threaten to extend the match into a tiebreak, but Perry finally sealed the match, and her second Oracle NetSuite Open title, 11-9, 11-7, 9-11, 7-11, 11-7.